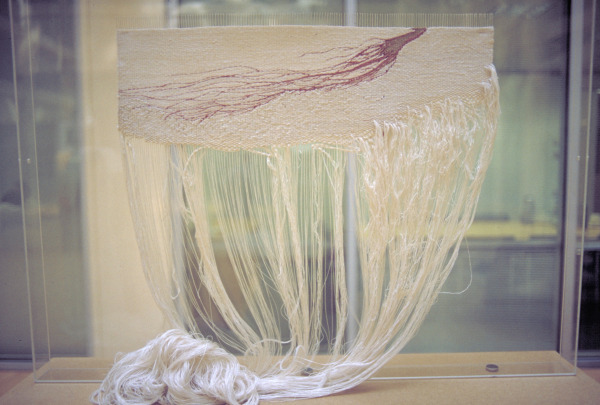 Cotton and silk tapestry, with the top section 'complete', and loose entwined threads at the bottom of the piece, predominantly cream with a flash of dark red at the top. Cotton and silk, Gobelin tapestry, construction and de-construction. Slowly Seeping, Shelly Goldsmith, 1989. Crafts Council Collection: T159.